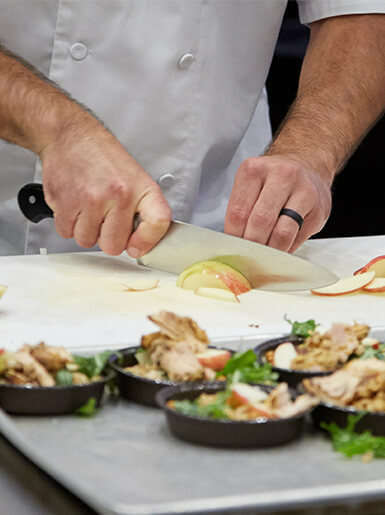 One day last summer, a legion of corporate chefs from Marriott Worldwide came to Austin, Minn., to see — and taste —new offerings from Hormel Foods. Chef Tony Finnestad was at the ready, presenting six courses in an hour’s time. 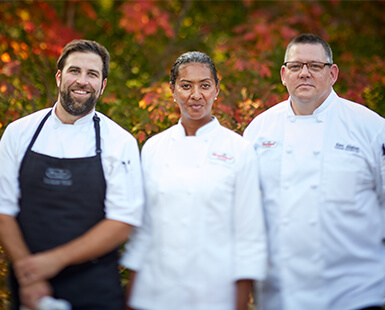 As the corporate chef for the company’s Foodservice division, he supports the chain businesses in particular, showcasing ingredients they may not have thought of or even known about. “There’s no such thing as a typical day,” he said. “My role here is fantastic,” he said, not missing for a minute the adrenaline rush of being in a restaurant kitchen night after night. His new job holds its own brand of excitement. With a background in fine dining, he’s qualified to say that. The CIA does an amazing job of creating or guiding young culinarians to excel in the craft, and Tony is representative of that. Finnestad started out at 14 as a dishwasher at a country club managed by the mother of his childhood friend. “We got paid under the table and with leftovers,” he laughed. A part-time job evolved into a vocation. 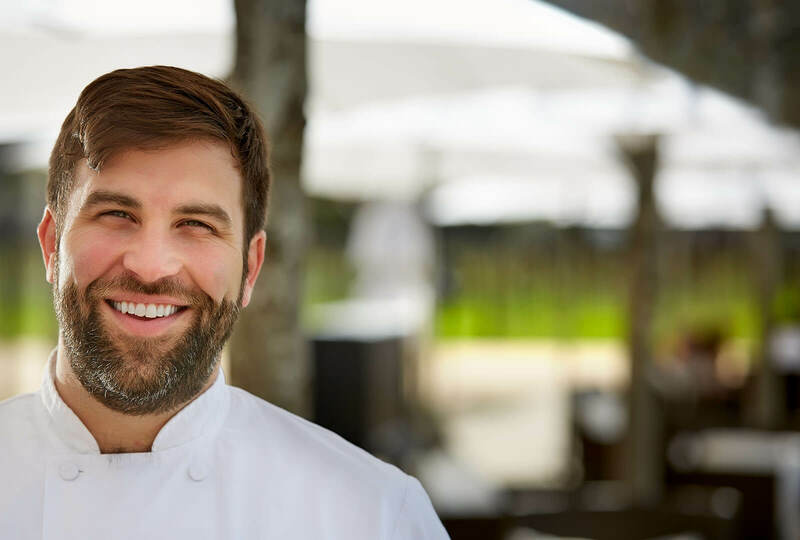 Finnestad enrolled in The Culinary Institute of America (CIA), where he crossed paths with Ron DeSantis, a certified master chef who was a member of the CIA staff at the time. “The CIA does an amazing job of creating or guiding young culinarians to excel in the craft, and Tony is representative of that,” he said. 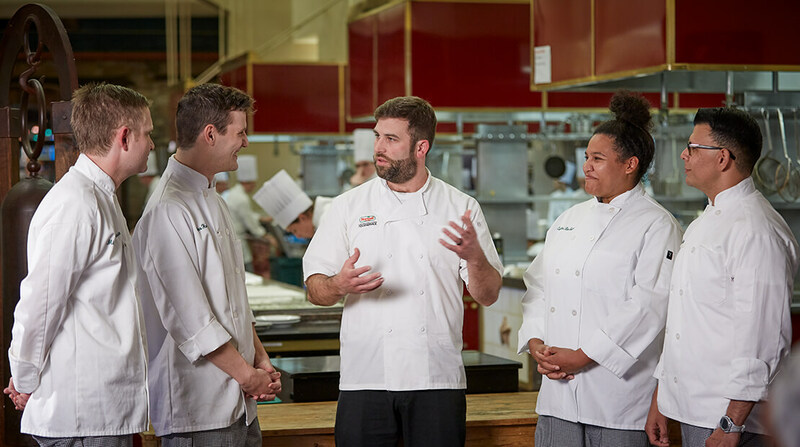 Chef Tony speaks with current students at the Culinary Institute of America . 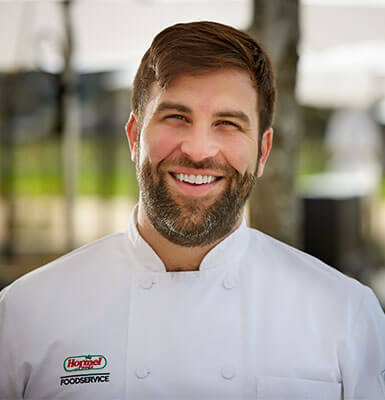 To DeSantis’ point, the years that followed Finnestad’s graduation from the CIA were filled with a string of successes and culinary positions of increasing responsibility throughout the United States, including the kitchen’s top spot: executive chef. A desire to move “back home” and start a family — he and his wife grew up in Minnesota — nudged Finnestad toward Hormel Foods. They are now the parents of a baby girl. He also is elated about what he called the “good story” Hormel Foods has to tell about buying local ingredients. And if the ingredients aren’t local to everyone, that’s okay. “We’re supporting family farms all over the world,” he said.